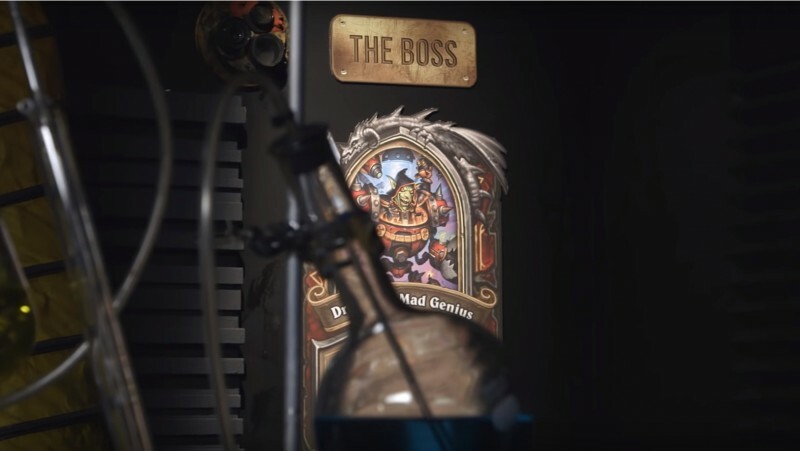 Hearthstone's next expansion, The Boomsday Project, brings players to the secret lab of mad scientist Dr. Boom, one of the game's most infamous cards. Blizzard announced the expansion with a new trailer. Blizzard also released a nine-minute video in which the team gets even cornier than usual and explains the expansion's new mechanics. 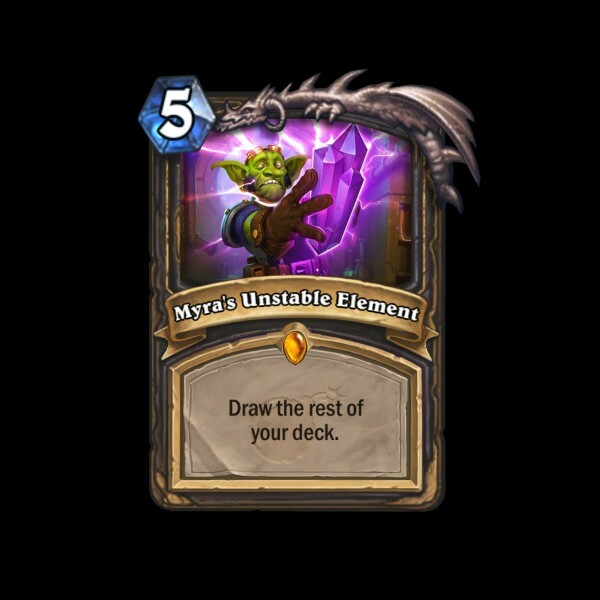 The expansion introduces a new keyword, "magnetic." Cards with the magnetic tag can merge with a mech minion on the board if played to the left of the mech, combining the cards' health, attack, and abilities. 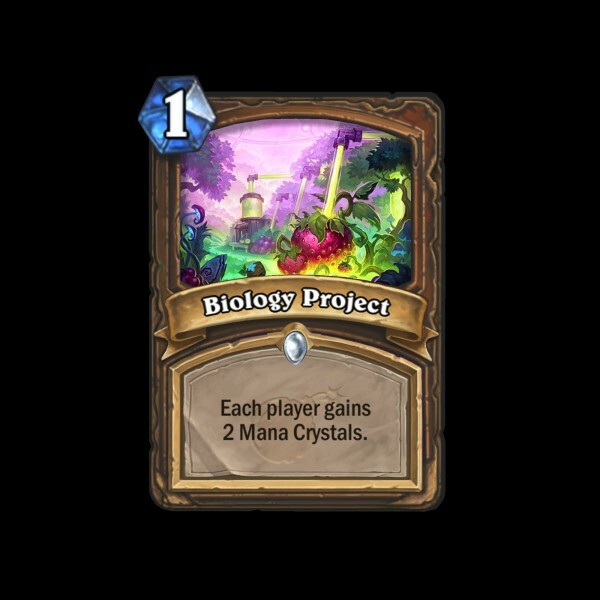 The Boomsday Project brings legendary spells to the game for the first time, new "omega" cards that gain extra power when played at 10 mana, and "project" spells that affect both the player and the player's opponent. 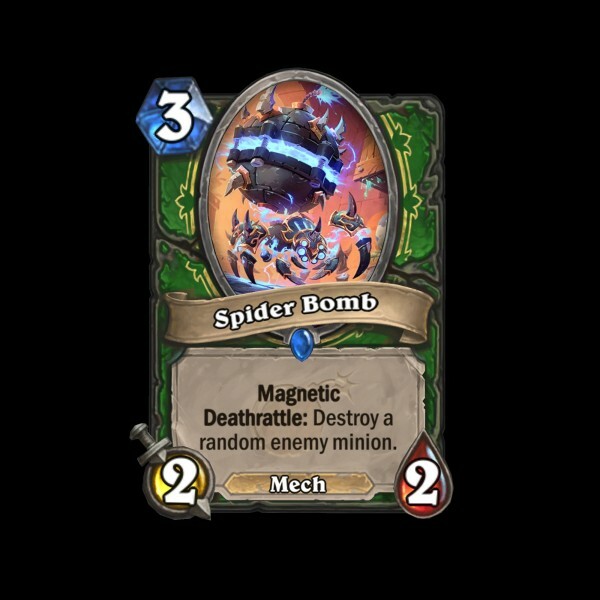 Spider Bomb, a three-cost magnetic minion with "Deathrattle: Destroy a random enemy minion." 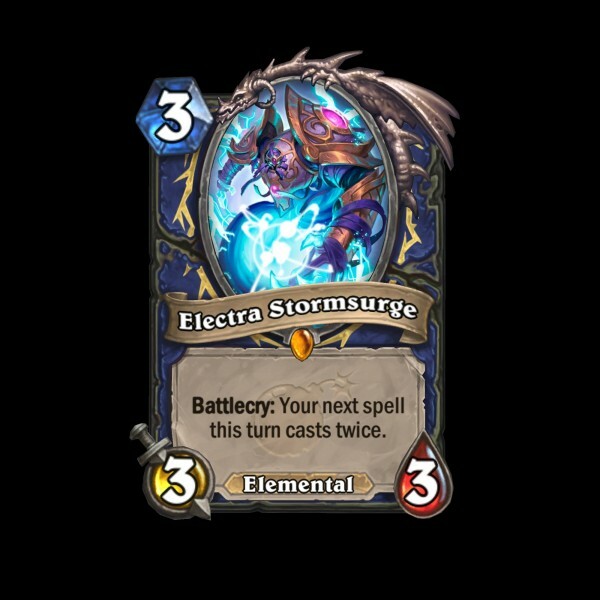 Electra Stormsurge, a three-cost legendary minion with "Battlecry: Your next spell this turn casts twice." 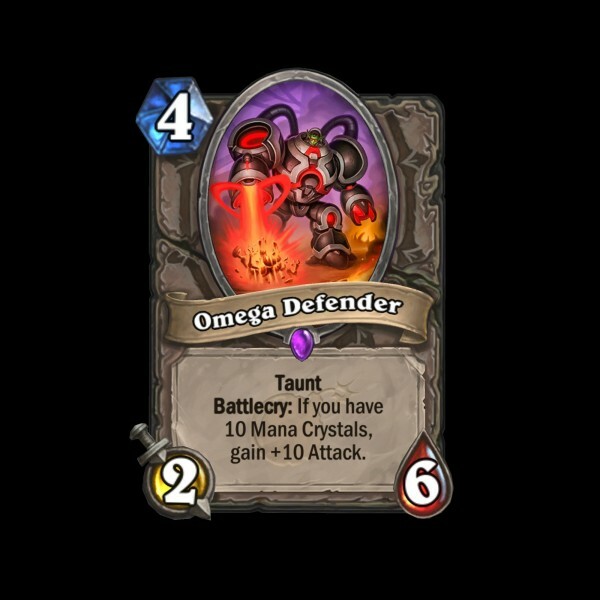 Omega Defender, a four-cost taunt minion with "Battlecry: If you have 10 Mana Crystals, gain +10 attack." A new single-player mode called The Puzzle Lab will be available for players on August 21, two weeks after the expansion launches. 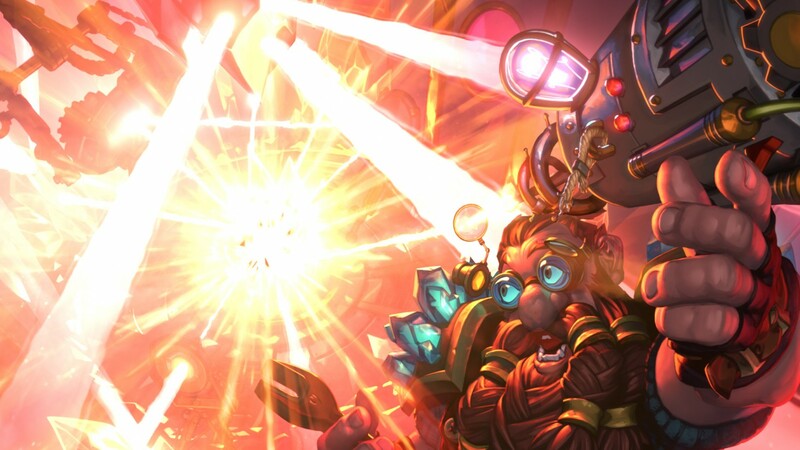 It will feature puzzles that require players to achieve specific win conditions, like eliminating the opponent in one turn or mirroring the opponent's board. 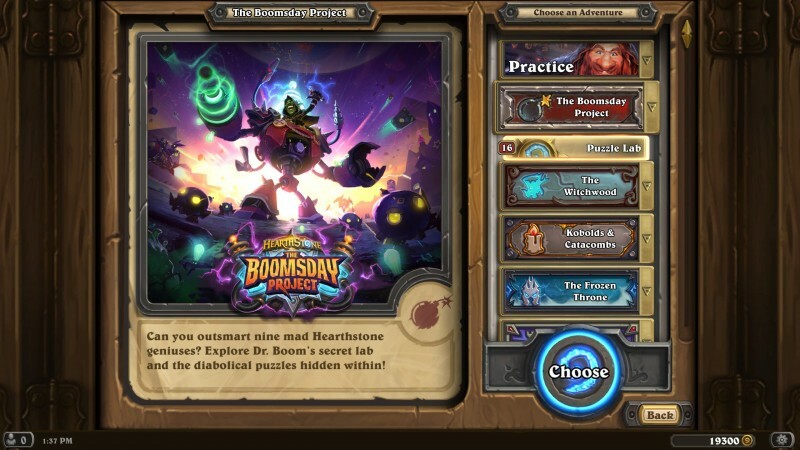 The Boomsday Project launches on August 7. Players can pre-order a $49.99, 50-pack bundle that includes a free golden legendary card and a card back, or the $79.99, 80-pack "Mega Bundle," which includes the new Mecha-Jaraxxus warlock hero in addition to the golden legendary card and the card back. All players, even without pre-ordering, can receive a free random legendary minion and three card packs by logging in when the expansion launches. 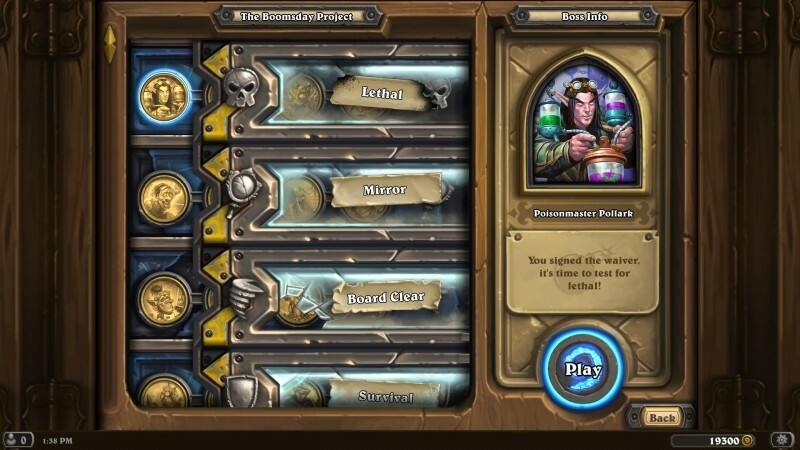 I haven't touched Hearthstone since the summer started, but this makes me excited to dive back in. I'm looking forward to seeing all the new cards, and the single-player mode sounds interesting.